One of 2017's most exciting releases. 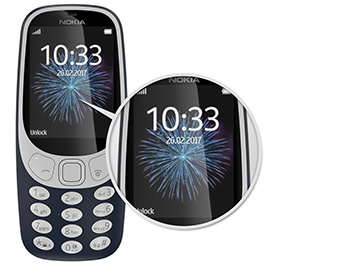 The Nokia 3310's impressive battery life offers up to 22 hours talk time – plus, there's the much anticipated update of the hugely popular-Snake game. The shape may be familiar but the look and feel of the new Nokia 3310 more than lives up to its modern contemporaries. Its interface brings a stylish, fresh spin on the original while the 2.4-inch curved screen makes for easy viewing in bright light. 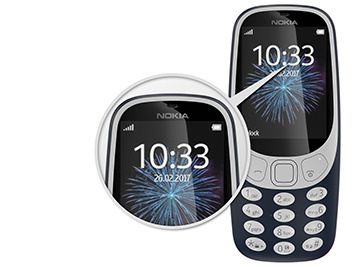 The new Nokia 3310 has a long-lasting battery – you can leave this phone on standby for up to a month. And if you love to talk, it's powerful enough to keep up with you the whole day long. Charging is easy thanks to the Micro-USB port. Ready for Nokia nostalgia? Remember playing Snake? Getting a new high score? 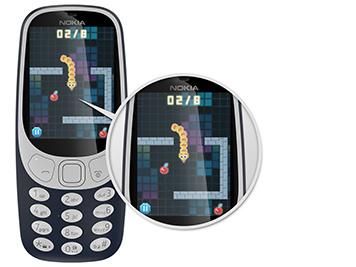 Well the popular game is back with a bang on the new Nokia 3310. Enjoy colourful changes and challenges – like trying to make 90-degree turns and forming testing long arcs. 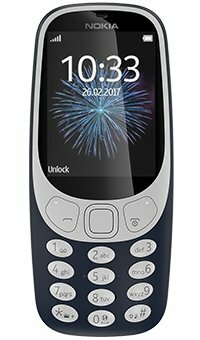 Whether you're a traditionalist or love something modern, when it comes to colour the new Nokia 3310 has something for everyone. 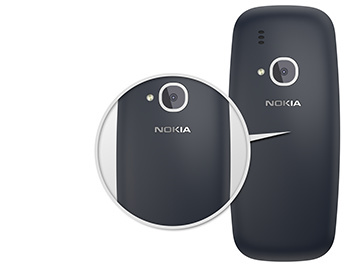 Whichever you choose, the 3310 boasts a distinct, stylish gloss or matte finish.